In order to create the best mobile apps as far as functionality, you have to be focusing design efforts on the user experience (UX) and intuitive products (UI). Where many mobile app developers miss the mark is that they focus so much effort of positive UI/UX design practices, they never give attention to pitfalls that need to be avoided. The following information will give you a good idea on the best UI/UX design practices and common pitfalls to avoid. The days of having a user manual within reach are over, everyone expects that intuitive products are available. The target user needs to have a complete understanding of the effects and behaviour of the mobile app without bringing experimentation, memorization, or reason into the mix. The focus must be a streamlined user experience that allows them to utilise the best features of your app (easily). In order for intuitive products to work, there must be consistency within. This consistency is even more important that the visual appeal of the app. Ideally, the user will intuit how to to use the app from prior experience. The learning curve here is virtually going to be flat, this is all about giving the users exactly what they already expect from the app without reinventing the wheel. One of the best ways to enhance the overall user experience is to stop designing the mobile app like a programmer would. Instead of just dropping features into the app, come from the point of view of the end-user instead. When you come from the mindset of the user instead of the programmer, amazing things will happen. The focus here needs to be on the goals of the user. Requirements and features are not as important today for the user as their needs. It doesn't matter how many functions and different sounds your alarm clock app has, it the user can not set the alarm quickly or make changes instantly, they will find an app that will. Bottom line is that the app must address the needs of the user, not packed to the brim with features. When you connect the user with a mobile app that not only addresses but solves their needs, your mobile app will be a success every time. Take a look at the user experience from their point of view. Most users dislike repetition - such as having to click a dozen times to perform one task. For example, ff the user is about to fall asleep and wants to set their alarm for an hour later but it takes 12 clicks to do so, you lose them. This is common sense but often lost in development. Some mobile app designers feel the need to show off their skills by making simple tasks complicated. If the task can be performed in one click, then make it one click and move on to other areas. When you can reduce the clicks to get to the desired results, the users will be more likely to make use of the apps. 1. When you are ignoring human interface guidelines (HIG), your mobile app is doomed to fail. This should be the main focus of your design efforts. 2. If you are making the tap regions too small, users are going to have a difficult time performing tasks and grow increasingly frustrated with the performance of the mobile app. Remember that everyone has different size fingers. 3. Stop trying to cram so much into one space. If there is more than a single thing to do on that screen, it will become a problem. That may work on a laptop, but mobile is going to become a real issue. 4. Never assume that the user is going to completely understand multi-finger gestures. Users know how to pinch, tap, and swipe, but when these gestures need to be combined to perform a task, you could lose a huge part of the audience. 5. The biggest UX pitfall to avoid is slow responding features. When a user drags or taps something, it needs to move immediately. The key to avoiding this pitfall is responsiveness, responsiveness, responsiveness! 6. Make sure that the navigation on the app is clear. If the user can not get around easily, they will not be using the app very long. Just know that when it comes to UI/UX design practices, you are not going to hit it out of the park on the first attempt. By paying close attention to user feedback, you can sculpt the app so that it focuses more on the goals of the user as if they designed it themselves. Learn from the mistakes along the way and just keep making small adjustments until you get rave reviews across multiple platforms. Do You Have An App Idea? What Are The Top HTML 5 Frameworks for Mobile App Development? With all the latest advancements in mobile app development over the last few years, the task of creating compelling mobile applications is easier than ever. These creative frameworks have identified the issues of the past and now make it easy for the developer to focus on building robust and user friendly applications that function with less glitches. The popularity of the HTML 5 framework can not be understated, it has grown to the point that developers expect only great things when they make use of the platform. The HTML 5 framework is designed to add enhancements to an existing interface while helping to further boost the usability of the apps. In short, the right HTML 5 framework will help to ensure a smoother app development process for all involved. As the push continues each year to stay ahead of the curve, a number of HTML 5 frameworks for mobile app development have risen to the top in this industry. The UI framework is nothing more than a set of concepts and codes that help to simplify common issues. So without further ado, these are the top HTML 5 frameworks that are efficient for mobile app development. The Ionic framework is considered to be a hybrid mobile app development tool that has a large dependency on the HTML 5 technology. This is an open source, complete with a front end SDK that can be extremely powerful and will enable the developers to design unique applications that do not comprise any of the quality of the app. The Ionic library is literally packed with web components, gestures, and tons of resourceful tools that will help to make the design process easier. The Ionic framework is also efficient at producing both intriguing and interactive apps. In addition to this being a very popular framework for mobile app development, it can be especially helpful for the developers who want to make use of the app testing process. The Sencha Touch framework is a very popular HTML 5 mobile app development system because it utilizes the MVC (Model View Controller) to help the developer to be able to create unique hybrid applications. The framework takes all the guesswork out of this complicated process, allowing the team to function on functionality. When developers make use of the Sencha Touch framework, there will be an ease in coding on various mobile OS systems without having to alter the feel or the look of the app. The Adobe Top Coat framework stands on reputation alone as one of the top mobile app developer tools. When you hear the name Adobe, you know that extensive work behind the scenes has gone into the development. The Adobe Top Coat framework is an incredible HTML UI platform that has many enriching features that allow the developer to create mobile apps for free. The Adobe Top Coat framework does have a substantial edge over many of the other frameworks as far as appearance and speed for desktop browsers that make use of style sheets or touch target controls. Mobile app developers are able to create creative applications that have a certain flair unlike any others. Another very popular framework that utilizes the HTML 5 is Kendo UI. This is the perfect mobile app developers tool for creating some really stunning out-of-the-box designs that have their own unique functionality. Basically you can get working quickly and have a stunning design in half the time with this framwork. The Kendo UI is dependent on the jQuery powered UI widgets, but that makes the end result so compelling. This particular framework has a large number of built-in themes that the developer can make use of when creating applications. The Kendo UI has a theme builder that allows the developer to alter the look of any mobile app on the go. This framework does integrate well with AngularJs and Bootstrap Loader. When it comes to jQuery Mobile, it is by far the most commonly used of all the HTML 5 frameworks. The reason for the popularity with developers is because the jQuery Mobile is considered to be a minimalist framework. One of the reasons for the attraction to this framework is because it does provide the developer a variety of mobile user interfaces. Part of the overall appeal of the jQuery Mobile is that this framework helps to build touch-optimized apps that are responsive and run smoothly across a number of platforms on a variety of devices. Now you should have a better idea of the top HTML 5 frameworks and how they are helping mobile app developers to create stunning applications that end-users are loving. All of these frameworks have their own unique benefits, so you need to carefully choose one that better suits your developing needs the most. By looking at the benefits of each there should be no trouble finding one that perfectly aligns with your needs when it comes to developing mobile apps. Web Apps VS Native Apps - Which is Better For Startups? When it comes to the debate over web apps vs native apps, one thing is for certain, the gap between these two will continue to shrink over the years. As it pertains to the startups, there are a bunch of things to consider because not everyone shares the same level of expertise or has the same deep pockets. The best way to decide the winner in the web apps vs native apps debate is to simply look at the factors that separate the two. Although we are still a few years out before the gap closes, today is a different world we live in. There are a number of reasons why one startup would consider the native apps, while another can not live without the web apps. Although everyone has their preference, it helps to see why one is preferred over the other in unique situations because you may not have considered all your options when you started this journey. The following information should cast a light on both web apps vs native apps, allowing you to determine where you put the most important and how that will affect you and your business in the long-term. There is no right or wrong answer here, just information. The first thing to consider is performance. Take a look at the Google App Store and you will quickly discover that gaming is extremely popular. Kids are always looking for the latest fun releases, and adults are looking for games that remind them of their youth. As far as the debate between web apps vs native apps, highly interactive applications that are needed to run these games fall into the native apps category. The truth of the matter is that web apps will have a real struggle in this space because the performance simply will not be the same as the native apps. For that reason, the native apps win this argument. Perhaps the mobile app that you will be developing is more of a collaborative or solo effort. When there are many pieces to the puzzle and you need many people to help with the effort, the clear winner here is the web apps. This is the best option for being able to output an application that meets or exceeds your needs. One of the things that you have to consider with the development of the mobile app is where the user is going to get the most use of this application. Consider if the user is going to be on the go, where a GPS or navigational app works best. If the user is going to be more localized, locked onto a computer all day at work, then a dedicated OS app isn't the ideal solution for this instance. If the primary focus of the app is to help a user while they are on the go, then you have to choose between the web apps vs native apps accordingly. When you have a lot of people working on the development of the app, web based is the way to go for a number of reasons. One being that you can easily manage the code for a variety of operating systems more easily. having a dedicated specialist for each device just is not practical for a startup. It doesn't matter how deep the pockets, it just is not practical in the early stages of the game to dedicate all those resources when web based will do the job. One of the things to consider in the web apps vs native apps debate is your level of expertise. If you have some background in web apps, it does not make any sense as a startup to try and learn a new skill. If you are already familiar with one over the other, then take the road with least resistance. The last thing that you need now is to go through all the trial and errors of learning something new when you are trying to develop an application quickly. One of the ways that you can decide easily which is right for you is to consider that when we are talking about iOS, you have to be willing to deal with all the policies of the App Store. That means you have to take the good with the bad, and despite there being a number of benefits, you have to take the bad too. Even though the App Store is going to shoulder the load as far as managing money for you, you are going to have to give up a certain level of control that you had. On the other hand, with the web based apps, you have all the control but you also have to do all the work, and there will be tons of work. Luckily for startups, you can rely on programs like Chargify, Recurly, and Spreedly to handle some of that work load. Looking at the long-term development of your app, you have to carefully consider if you are going to be making use of cloud components down the road. Looking at this from the perspective of the user, they might be able to get the most out of the app if their device is packed with features clogging up space. The cloud allows users to be able to free up valuable space on the device and enhance the overall user experience. in the end, this is what the who purpose is for, making certain the user has the ultimate experience. You should consider starting with the web application now and then eventually adding some mobile OS apps that will compliment the app down the road. This information should have at the least showed you both sides of the web apps vs native apps debate. There are definitely more things to consider, but this should be a great jumping off point for the startup. Don't look at the solution to a short-term problem, it is important that you are looking well into the future to the needs of the user. Do You Need A Web App or Tailored Native App? An introduction to the pros and cons of Squarespace V Wordpress. To understand if Squarespace is a better alternative that WordPress, you really have to know what these two are all about. While on the surface they may appear to be similar platforms, they actually have different features that make them unique to one another. WordPress is more of a content management system, whereas Squarespace is presented as a website builder, although in reality these are 2 sides of the same coin and both can be either a CMS or a website builder. So the short answer to whether Squarespace is a good alternative to WordPress is it really depends on your needs. The purpose of your website will determine which is a better fit for your business. Some WordPress options may be better in the short-term than Squarespace and vice versa. The following questions should help you to decide the best fit for your company and how each platform excels in their own way. In order to determine whether Squarespace is a better alternative to WordPress, we need to start with the basics. Start by writing down what type of website you are going to be building. Next, decide what your website is going to do. Finally, it is important to know today what you expect from the website in the future. There are many sites that are using Squarespace templates that really are stunning to say the least. These websites are perfect for displaying the menu of your website, your portfolio, or your clothing store inventory to mention just a few. WordPress on the other hand gives you a little more flexibility to add a huge range of features by simply installing a plugin. When you clearly understand your precise needs in advance, you can choose the right platform that will give you the perfect website for your needs. That being said, it is also easier if you have clarity about your future needs now, because if you have to switch platforms later it could create added hassle and expense. If you own a local pizza restaurant and only want to show your customers the latest menu, the Squarespace website is more than enough. However, if you have a website that requires a range of user logins, and complicated functionality, WordPress allows you to incorporate a number of plugins to realise a more custom solution. As Squarespace is a privately owned company, you must use their service providers - Squarespace is a hosted solution. If you need a simple website without a million features, Squarespace websites rival some of the best online. By comparison, WordPress is more of an open book, which means if you have a custom need or specific function you want to incorporate, chances are good that there is a free plugin for that. You are also able to use your preferred website hosting provider. Websites should not be static, they should be maintained and updated frequently, especially if you are always looking for ways to drive new traffic to your site. Many people simply assume they need to jump into WordPress because it gives them the flexibility to grow easily over time. It is important to note here that Squarespace has features that make it more favourable in unique situations. Perhaps you do live shows on YouTube and at any point could have over 10,000 live viewers, who in turn rush to the website for more information. Squarespace can handle the load with zero issues, whereas the WordPress site might crash from the huge rush of traffic all at once. In this example, Squarespace makes use of huge load balancing servers which can keep that website stored at several locations and point that rush of traffic to the closest server. WordPress sites could freeze up because they need to talk to the database. This is however very dependent on the quality of your web hosting as well. While this is just one example, both platforms have their good features, again, depending on how you plan to scale things up down the road. So if you intend on only getting traffic when you do a huge live online event, then Squarespace might be a better option. If you are constantly expanding your reach and incorporating new features for your visitors to utilize, Wordpress allows you to keep adding those features with ease. So now you should have a better idea about whether Squarespace is a better alternative to WordPress - whether your are a global corporation that needs a landing page or a small home-based business that needs more of a fully functional website. It all comes down to your specific needs, your plans for the future, and what type of user experience you want to give your customers. Do you want to learn more about which platform is right for you? Roundhouse is a professional creative agency specialising in custom web solutions. We are a squarespace specialist having over 7 years experience with the platform and Wordpress Expert. 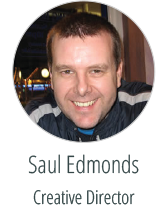 Creative Director Saul Edmonds has over 20 years professional web experience. He is an international expert on Squarespace and has developed many custom Wordpress websites for clients across all industry groups. If you wish to learn more about Squarespace and Wordpress - and which is the right platform for your business, call us on 1300 727 749 or email us anytime. We are here to help you make the right choices for your business now - and into the future. This year more people will not only own mobile devices, they will be using them for far more tasks than in previous years. People are using their tablets and smartphones on the go to do all those thing that used to be only available on your desktop computer. They aren't just surfing, these people are posting on their social media profiles, shopping, and checking their emails throughout the day. Studies have revealed the average Facebook user is spending 55 minutes a day on that one social media platform alone. If your website is not mobile friendly, you are losing out on potentially a huge amount of new traffic. Creating a mobile responsive design works for both the desktop and mobile devices. Here are a few reasons why mobile responsive design can help drive more sales to your website. The idea of mobile responsive design simply means that your website looks the same on a desktop as it does on the mobile devices. When a visitor stops by your website on their desktop, they get to see the entire expanded site on the monitor. On a mobile device the entire website including all images must be reduced in size to fit the smaller screen. With mobile responsive design you do not have to worry about creating a separate website design for each type of mobile device. Your website will automatically retract to fit any size screen. With mobile technologies allowing users to access their favorite websites from anywhere they can get an internet connection, it is extremely important you act now and incorporate the mobile responsive design. One of the biggest search engines is of course Google. When Google recommends website owners make a certain change it is important for them to listen or be left behind when the changes are rolled out. Google has already made it clear that they prefer mobile responsive design because it allows the search engine spiders to easily crawl the pages and rank them in the organic search results. If the google bot can not crawl your website, your website will simply lose that placement you have worked so hard to get. If Google is saying they prefer mobile responsive design so they only need crawl your content once, it is a good idea to get moving on this as soon as possible. The most important reason why you should consider a mobile responsive design with your website is better conversion rates. Studies reveal that each day 69% of people who own a tablet have made a purchase online this month. If your website is not working across those mobile devices, you are losing out on a tremendous amount of business. People are utilizing the convenience of their mobile devices to do tasks on the run today. They are making purchasing while sitting at the airport waiting for a flight, sitting in the waiting room at the doctor office, and while sitting in line in their vehicles to pick up the kids from school. If your website is unresponsive on those mobile devices, buyers will simply shop somewhere else. For these reasons and more, mobile responsive design can boost your sales and your profits in record time once it has been implemented with your website. HAVE YOU UPDATED YOUR WEBSITE TO BE MOBILE RESPONSIVE? Roundhouse has a range of cost effective options to upgrade your website to be mobile responsive. Our fully qualified team of design experts can transform your existing website into a fully featured mobile responsive site that is compliant with Google recommendations. Talk to us to learn more about our range of mobile web design services. Book an obligation free consultation with a qualified web designer. 3. Do you have a great app idea? Answer these questions first! Developing a mobile app will set your business apart from your competition. Businesses of all sizes are now incorporating mobile app development into their brand outreach to capture more audience share globally. Should I Outsource the Project? When you develop your mobile app in-house, your team has more control over the entire project from start to finish. Your team can add more people on staff to help collaborate new ideas and visions on the fly. This process tends to be more expensive just because of the time involved in development. If more time is spent on testing and implementation, costs can really grow. Outsourcing your mobile app enables you to put the development in the hands of a trusted company with clear timelines and set costs. A specialist development agency can take care of your app from concept to release more efficiently and cost effectively because that is what they are in the business of doing. What Device Should We Develop For? With over 70% of Australians alone owning smartphones, it is projected that global ownership easily exceeds 800 million today. With so many choices out there, it can be a challenge deciding which device your mobile app should be developed for. If budget allows, it is recommended to develop tailored solutions for both Apple and Android platforms. This increases your revenue opportunities with a diversified product strategy. What Should the Mobile App Do? Once you have identified the process of development and the platform to build on, define the specific purpose and required functionalities of your app. Will your app be used for shopping, filing reports, or some other function? You need to determine if your app is going to be streamlined for one function or designed to perform multiple tasks for the user. It is sometimes better to create several smaller apps in circumstances where there are numerous features and functionalities. The key here is to understand what your app should accomplish. Get to know your target mobile users and carefully gauge how your app can benefit them. Why is the visual design important? During the planning process you need to make decisions about your platform, device types, the language, and the overall functionality. The visual design and user interface of your app is another important consideration. Did you know that he average user has over 35 running apps on their smartphone? With thousands more apps competing for their attention in the app stores - your app must stand out in a way that gets you the attention you deserves. Use brilliant visual design to set your app apart from your competitors. Design is a key component of the success of every app. When you take this step by step approach to developing your mobile app, you are setting yourself up for a better mobile experience for all. HAVE YOU GOT A GREAT IDEA FOR AN APP? At Roundhouse, we understand that a successful app begins with a strategic plan for success. We have a complete range of app development, app branding and app marketing services dedicated to achieving your goals. Our talented team of experts works closely with you to create precisely what you need. See our infographics portfolio here. Is Your Website Ready for Mobilegeddon? Well maybe not Mobilegeddon, but for many websites around the globe it may as well be with Google's major algorithm change that started 21st of April. This new algorithm will be gradually rolled out worldwide, affecting mobile searches in all languages in all corners of the globe. This April 21 Google update looks to be the biggest mobile-related algorithm change we’ve ever seen, but I'll bet that it won't be the last. If you don’t have a mobile or responsive version of your site in place by April 21 (today), your search visibility could be seriously hindered. Ensure the mobile version of your site is active and functional. Responsive designs are the most popular, but you can also have a separate hosted mobile version of your site. Google doesn’t have a preference, as long as mobile users’ experience isn’t interrupted. Ensure Google’s mobile bots can crawl your site. If Google can’t see it, it may as well not even be there. Check each individual page of your site on a mobile device to ensure navigability. Just because your home page is mobile friendly doesn’t mean the rest of your site is. Google additionally offers two tools you can use to check whether your site is mobile-friendly. First, you can use the appropriately named Mobile-Friendly Test to see whether your site meets initial qualifications. Google Webmaster Tools also contains a convenient Mobile Usability Report you can run to examine your website as Google sees it. Eventually everything connects - people, ideas, objects. The quality of the connections is the key to quality per se. The single biggest metric used on a website to determine overall success or failure is your conversion rates. The higher the conversion rate, the more sales your company will enjoy. In order to convert those visitors into loyal customers, you need be working on areas like SEO, relevant content, advertising, social media, and of course your web design. Focus on web design and you can see those conversion rates take an upturn very quickly. Then you can focus on those others areas at a steady pace. Here are a few principles of good web design that will help improve your conversion rates. Take a good look at your website from the eyes of your potential customers. Is the website user friendly or is it intuitive? In order to increase conversions on your website you have to be working on both of those key elements. The easier a person can perform tasks on your website, the easier they can get to the business of buying. When a person arrives on your website for the very first time, they will be able to determine within seconds whether or not to continue or tho click the back button. During the design of your website, take some tips from your competition. Place some items in the cart at those websites and see which features you loved and which only slowed down the process. Incorporate those features into your website, using the best of the best. There are certain features you can implement into the design that will have a direct impact on the conversion rates. These features will nudge the visitor along so that they wind up on the product page and load the cart with the items they need more efficiently. Large headings and verb oriented call to action buttons guide your visitors to take action. People simply need to be told what to do in many cases, so by giving them action words on the website, it helps them to easily make a decision to move along. The key here is not cluttering up the pages - the more content on a page, the harder it is for the reader to find the information to get the process rolling. Find ways to improve the load speed on your website. Users today are used to getting information at break neck speed. if they have to wait for your pages to load, they will abandon that cart quickly and shop elsewhere. If the colours and visuals on your website engage your visitor, the more likely they are to stay. The longer they stay on your website, the better chance you have to convert them from a visitor into a customer. Choose the right images, buttons, text, arrows - all of which should lead the buyer to those important call to action buttons. If the design is poor, and the buyer is clicking around your website and not getting anywhere, you risk your website becoming a poor buying experience. Make the checkout process smooth, ensure the website is visually pleasing to the eyes, and eliminate all that clutter. Continue testing and tweaking all the features and functions on your website. Stay informed as to what your competition is doing to improve their buyers' experience, and use those features to help improve areas where your website is lacking too. Stop leaving money on the table by sending your customers out the door within the first few seconds of arriving on your website. If you can focus your attention on making your buyer experience a rewarding one, they will not only will love you for it, they will also tell their inner circle about you. In a world where advertising costs a fortune, getting customers to refer you to their inner circle is the least expensive and most effective advertising there is. IS YOUR WEBSITE OPTIMISED FOR YOUR CUSTOMERS? At Roundhouse, our key goal is to maximise your opportunity online. We work to understand you, your business and your customers - and deliver a tailored web solution that propels your business forward and increases your profitability. Our talented team of experts works closely with you to create precisely what you need. 1. How to boost revenue with a great point of sale. 2. 6 Ways to increase sales with landing page optimisation. 3. Brand management for small business. Everyone designs who devises courses of action aimed at changing existing situations into preferred ones. Your business website is the face of your company online. It is a key sales tool. With regards to your website design - it simply needs to convert visitors into loyal customers. Even if your company offers the best services or products in your industry, if that message is not communicated to the audience in a clear and concise manner, you will simply lose those visitors to your competition. The following 5 tips will help in your redesign of your website to allow your company to stand out in the crowd. On an average day, people on the internet consume over 100,000 words during their time online. People want to be able to determine quickly if the content on a website is relevant to their needs or not. Avoid placing large amounts of text on your homepage or the visitor may simply click back and visit another website. Keeping things simple has never been more relevant than in today's world of information overload. The home page on your website needs to be designed in a way that makes it clear where navigation bars are, where contact details are, and how to get to the products they need more quickly. While some individuals like to learn by reading, others have an easier time with videos. That is why it is important that you have multiple types of content on your website - from text, info graphics, videos - to brochure, catalogues, testimonials and ebooks. Let your visitors will choose which is best for them and utilise the information. Make it easy for people to learn more about your products and services - in a way that suits them personally. If you focus on telling your potential customers why you believe your business is the best, why you offer the lowest prices, and why you are considered a leader in your industry - you have the possibility of turning off the majority of your new visitors. The key to eliciting a strong customer response is highlighting relevant information that shows your customer exactly what benefits you offer. By reaching your customer on an emotional level, you are more likely to get the desired response. While many customers will go right from a product page to your checkout, some others are not there to buy right now. The key to getting them to return at a later time and make that purchase is by encouraging them to take action in another way. Signing up for a video demo, joining a mailing list, or subscribing to the newsletter are all ways that will eventually lead to your checkout. Give your visitors reason to stay on your website and interact with you, this way they can be reminded at a later time to come back and shop. Once a potential customer arrives on your website, they will begin looking for information that is relevant to their needs. They need to know what to do next or chances are they will be gone very shortly. Your website must provide a clear path in which the buyer can easily navigate by giving them call to action buttons that encourage certain actions. The first thing your website must do is steer the customer towards education about your business. From there, send them to where they can take further action. The navigation bar on the website plays a key role in keeping the custom informed as to the next step in the process. If a customer adds an item to the cart, the navigation bar should offer them the opportunity to compare similar items in your store. These simple web redesign tips will allow your customers to get the most out of their visit to your website. The key here is to increase conversions, grow your brand and work to serve your customers for the long term. At Roundhouse, we understand that a high performance website is key to growing your opportunities online. As technologies change, websites must be upgraded to take advantage of emerging trends. Our talented team of experts works closely with you to create precisely what you need. 1. The design studio advantage. 2. A guide to our quality web services. 3. What is brand identity design? Regardless the size of your business, if you don't have a website you are never going to compete with the giants in your industry. If your company does not have a website, you will not be taken seriously with consumers. Once you have a well designed website, you can now compete on a global level with your competition. Consider these 6 key elements to make your website stand out from the crowd. You might be surprised to know that over 85% of shoppers actually read those reviews they see on product pages, This is one of the reasons that Amazon is such a successful website. Buyers simply want to hear what other shoppers have to say about a product before they put down their hard earned cash. Take the time to implement some type of review or testimonials page on your website so shoppers can share their experiences with others. This will not only increase interaction on your website, it will increase sales when new buyers see those reviews. More people who are online spend a significant part of their day on social media sites. They love to find content online that they can share with their inner circle of family and friends. If you do not have any social media buttons on your website, you are losing out on a great opportunity to grow your customer base quickly. When a shopper is looking at something that intrigues them, they only need click a share button for it to instantly appear on their social news feed. That is now a referral for their inner circle to read and possibly visit. Implement those buttons on your website and your visitors can instantly share your product pages with their inner circle. Those new eyes on your products could turn to loyal customers overnight. Consumers are used to visiting websites where they can interact before buying. Take this as a sign of something you must incorporate into your content if you want to keep your followers engaged. Place infographics, videos, or high quality images on your pages so your visitors can interact before they buy. Allowing a person to click an image to see a bigger higher resolution image will allow them to more easily make that buying decision. If you want a person to buy from your website, they need to be able to check-out without having to deal with one barrier after another. This means that when a person puts something in their shopping cart, they should be able to pay right away. Too many website owners think this is the time to ask customers for a username, password, or get them to sign up for a newsletter. Do that after the person has paid, not before they even open their wallet. Once the person has made the purchase, then you can email them for more details. If you want to keep traffic flowing to your website, you have to keep your content fresh and relevant. Update your product pages frequently, and take the time to create pages that offer your buyers helpful tips and tricks within your industry. These pages can be added to frequently, allowing the search engine spiders to crawl your pages more often and raise you in the organic search result pages. You might be surprised to hear that an alarming 60% of websites have no contact information on the homepage. Even if you do not have a physical storefront, you must have your email address, telephone number, and contact name somewhere on the homepage. Lacking this information will only cause your website to lose credibility with customers. Take the time to make that information easy for the customer to see, that way even if they don't need it, they know they have it close by. Regardless how big your company is, your website allows you the chance to be able to compete globally with those large corporations. Don't lessen the chances of getting sales by forgetting to implement these simple tips for gaining customer confidence and growing your client base. At Roundhouse, we know that a high performing website is a key business investment. Build your brand and grow your profits with a tailored web solution that is dedicated to the needs of your customer. Our talented team of experts works closely with you to create precisely what you need. 2. 7 Top tips for a highly converting website design. 3. The 6 essentials for effective brand identity. Design To Inspire Immediate Action! With so many tools available to website owners, it makes perfect sense that they often handle the website design in house. Whether it may be a template based service or you build the website from the ground up, many website owners simply make small errors that really have a significant impact on the bottom line. When choosing a website template that is easy to design, you may miss key areas that need a more professional eye to help close more sales. One of the areas in which many website owners miss the mark, not putting enough emphasis on the call to action (CTA) links. By spending a little time addressing this one area, you could see sales improve tremendously. Here are the top 4 designing strategies that will help you to create compelling call to action links. If you want to increase sales, you have to make your website a more enjoyable user experience. Take the time to place a mock order on your website, and pay close attention to what happens each step of the way. During your checkout process, consider things your customers may be thinking to try and make the process more effective. Many website owners now incorporate a comparison link where buyers can check similar items in your store, easily seeing the highlights of each so they can make a more informed buying decision. Test your checkout on a mobile device as well. The buttons may be so small that the buyers are abandoning the cart because they can not see what is in there. There is a reason the most successful websites are using different verbs in the call to action links. The verb helps the buyer to take action, so seeing links that read "add to wish list" and "add to cart" only make the decision easier. The best thing you can do to make this process easy for your customers is to place your call to action links in the exact same place on each page. That familiarity will help make the process easier. By telling the user what to do, they simply follow the instruction and move along the process much easier. The call to action link must simply prompt your potential customer each step of the way, helping them to take the next logical step in the checkout process. The colors and the placement of the call to action buttons are critical because they cause the customer to be drawn to that section of the page. The call to action button must stand out on the page, compelling a visitor to simply click it. When the call to action link is in direct contrast to the background, the buyer is unable to focus anywhere else but that button. Even if the buyer is still reading content on the page, in the corner of their eye they can not avoid seeing that button. As a website owner who is doing most of the design work, you can easily fall into the trap of adding too much to your pages. All that clutter can make it a challenge for your visitors to even find the call to action buttons. When you try to load everything on that screen, you can actually confuse the buyers to the point they never get to the cart. Now if you have multiple tasks involved in that call to action, you really can lose any chance of the buyers making the right decision. The one thing you can do is set your priorities and then get rid of the clutter. Each page of your website should only have one call to action, focusing on the primary action you want that buyer to take. The only way that your website will be successful is if the buyer can find and navigate the call to action links. The last thing you want to do in interfere with that process, so choose your links carefully and make them stand out. Your key goal is to implement simple calls to action that will smoothly get your buyer where they need to go. IS YOUR WEBSITE INSPIRING YOUR VISITORS TO TAKE ACTION? At Roundhouse, we understand that a website must work to motivate visitors to get in touch, ask for more information or buy. We carefully integrate tailored call to action design elements based on your brand and style guidelines. If you wish to learn more about how clear 'calls to action' can boost your profitability, please get in touch. 1. How to grow your business with customer testimonials. 2. Top 10 ecommerce questions for startups. 3. A handy brand glossary. First impressions matter. Experts say we size up new people in somewhere between 30 seconds and two minutes. It is a rule that holds true in every business : you really only get one chance at making a great first impression. This could not be more true when it comes to your website as well. Recent studies have shown that when a customer arrives at a website, they make the decision to stay or go within 5 seconds. Technology is moving at lightning fast speed, and people simply expect every website they visit to move quickly. Once you get them to your website, you better have your home page optimised in a way that keeps them interested or you will lose them quickly. Rather than losing a potential customer with the click of a mouse, take the time to incorporate these 5 things on your homepage to make your site more user friendly. Recent studies have shown that an amazing 75% of small business websites do not have a link to a business email address on the home page. An even more alarming number, 60% of those websites don't have a telephone number listed on the homepage. At the absolute minimum, your website should have the telephone number and email address clearly visible. If you do have a physical storefront, then this information must include your street, city, and zip code as well. Google has many features available where you can link a map to the information so if someone is in their car, they can get your exact location by way of the smartphone. A winning image draws in your visitors attention as soon as they arrive. Ensure the main header image is closely related to the products you sell. If you sell wedding cakes, the image must be a wedding cake. Having no graphics or assorted pictures of butterflies and family photos will send your potential customers clicking the back button at break neck speed. If you do not do anything else, please take the time to ensure each of the links on your homepage is working properly. Broken links or links that send visitors to the wrong information must be fixed. There should also be a very detailed and clear navigation bar across the top of the homepage. This will help your visitors to quickly find the information that they need at the click of a mouse. Some of the important links that should be in that navigation bar is your FAQ page, shipping and returns policies, privacy page, and a contact page. Do not make it challenging for a customer to find the information they need to use your service or products. The only way that you can connect with a visitor after they leave your website is by capturing their email address. If the majority of visitors do not make a purchase, you should be able to send them sales flyers in the future to entice them to come back and shop. Your email signup box should be easy to see, and it should also give the buyer a great reason to want to provide their personal information. In the signup box, explain that you will only be sending out promotional codes and sales periodically so they do not feel they are being added to a spam list. Offer your customers rewards that they cannot resist. One of the ways that your visitors can help spread the word about your website is through social media. Make it easy for your customers to tell their inner circle about your business by making certain you incorporate social media buttons on all your content. That way if a person is on your website and feels a deal is really good, they can click the Twitter, FaceBook, LinkedIn, or Pinterst button to share your details instantly. These social media buttons are an inexpensive way for your customers to do advertising for your business. In a way, those shares are like referrals, making it easier for new fans to find your content and make purchases. IS YOUR HOMEPAGE WORKING FOR YOU? At Roundhouse, we understand that your website home page needs to be carefully optimised and tailored to your audience. It needs to promote conversions, spark interested and provide key information. If you wish to learn more about how your home page optimisation can work to boost your revenue, please contact us for chat. 1. How to sell your brand in a sentence. 2. Why an engaging content strategy is essential for seo. 3. 7 Ways to boost your sales with social media. Get to know more about your website designer's skill set before you engage their services. The specific skills of a web designer varies from designer to designer. Some web designers do everything - from website design, website development, online marketing, search engine optimisation, and daily maintenance. Others specialise in one area only. Before you trust just any web designer with your website, it is important that you ask them the right questions. Here are the top 10 questions you should be asking each potential web designer to ensure you hire the right one. 1. Can I see some examples of your work? This question should always be at the top of your list. Each web designer is like an artist, and not everyone is fond of the work of certain artists. If the web design is not something that matches your expectations, consider looking for another web designer. 2. Can I have a small list of your past and current clients? Any prospective web designer should have a nice list of clients they have done work for. After you get this list, take the time to investigate how effective the websites are running. If you can reach out and speak to clients who have worked directly with this web designer, you can get a better feel for how they work. Being able to find out how timely work was completed and how good the web designer was at following a plan can go a long way in making a more educated decision. 3. Which website do you like the best? The answer to this question can tell you quite a lot about what the web designer values and what they consider the most important aspects of the design. 4. Which technologies will you employ on my website? This is a very important question to ask a web designer because they should be very knowledgeable with all the modern technologies available. When different functions are being incorporated on your website, you want to know the technologies used to acquire the desired result. Is the web designer using a high end coding tool or making that code from scratch where more errors are likely? If you are not too tech savvy, your web designer should be able to speak in more general terms to allow you the chance to understand the entire process. 5. How is my website going to be optimised for search engines? While the answer to this question does reveal quite a bit about where your website will be in the organic searches when completed, take the time to look up your web designer website online too. If they are on the first page for popular keywords, chances are they are doing exactly what they say they will do for your website. 6. Can you integrate special features in my website? Having a static website is not effective any longer, consumers are much used to visiting websites that have social media feeds, videos, banner ads, and high quality images. There should be a sign up box, blog, comment section, all the bells and whistles you expect in a high quality website. The visitor to your website should be able to share that content easily with social media buttons or you might as well be invisible online. 7. How will you address security issues on my website? Technology today makes it very easy for someone to hack into the back door of a website and destroy months or years of hard work. The security metrics on your website have to be able to protect all your information from any hacker, trojans, or worms. Find out how often the site is backed up, and where will a copy be stored in the event of a crash. 8. Will I own the website? Just because you think you own the website after the work is completed, you might be surprised the web designer could hold the copyright. Make certain that it is clearly explained in a contract that you own all the rights or you could be paying a very costly price down the road. 9. What are your terms and fees? You simply must establish the payment structure now, or every chance to the website could be costing you money. You have to find out if they are paid by the hour or do they insist on a monthly retainer. Make certain there are no overtime charges, which can be very costly. If the web designer works on the weekends or holidays, they could be charging a higher rate. All these things you need to see on paper before making any decision. Good luck with finding the right web designer for your business! At Roundhouse, we understand that your website is a key investment in your growing your business online. We offer a complete range of services to ensure a tailored website design that gets measurable results. From search engine optimisation to social media integration and mobile optimisation - our talented team of experts works closely with you to create precisely what you need. 1. 4 Ways to tell your real story on twitter. 2. 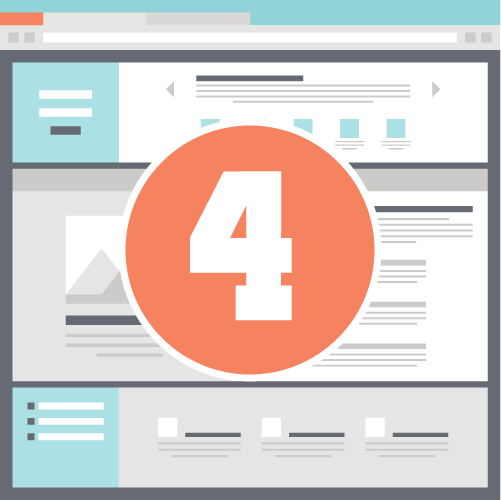 4 Simple ways to optimise your website for seo. 3. Easy design tips to get more business from your business card. Sales are contingent upon the attitude of the salesman - not the attitude of the prospect. Recent studies have revealed that a visitor to your website will decide within the first ten seconds if they want to stay around or not. If people find something of interest, they will increase the time on your website. In a world where seconds count for everything, you have to make the most of your website so your visitors are staying longer. Avoid these 11 problems on your website and you have a better chance of increasing traffic and engaging visitors. The content on your website may be written well, but if the visuals are low quality, visitors will not stay for long. A high quality image attracts attention and gives the appearance of authority and professionalism. If you have no testimonials or reviews on your website you are missing out on a key opportunity to gain customer trust. Telling your customers a product is exceptional means nothing, they want to hear it from an impartial third party source first. The colour scheme of your website can definitely have a key impact on traffic and sales. If your color scheme is too loud or distracting, your business may appear to be less than professional. Too boring and dull, you lose interest from visitors. You have to find that happy medium to keep sales coming in. Nothing loses customer interest more than seeing information on your website that is dated. If the copyright information at the bottom of your page says 2007, it might be time to look over your website for areas that need updating. New and fresh content can have a big impact on the visitors to your website. How can you sell anything if the potential customer can not find it? The links on your home page need to get people to the items they are looking for quickly. The longer it takes them to find items, the better chance they go to your competitors. Now might be the time to open your website on your smartphone and see how easy your buying experience is. If you cannot navigate the site easily, chances are the growing population of buyers who shop with their phone cannot either. When a potential customer arrives on your website, they like to know they can reach the website owner quickly with questions or concerns. You may be familiar with the feeling of when you shop in a retail store - and all the sales associates seemed to have vanished. Live chat, contact info on home page, and your telephone number clearly visible - are all valuable ways to increase buyer confidence. There should be sections of your website dedicated to answering the needs of your buyers. A FAQ page is the perfect way to let the visitor feel their concerns are addressed, without them having to search around for information. If the information they need is readily available, they will feel like a valued customer. If a customer must sign-up at your website before they can purchase anything, you are placing an unnecessary hurdle in the way of sales. Most people already associate these tactics with the arrival of spam mailing in the future. If a customer arrives on your page and is met by videos or audio that plays the instant the page opens, they will more than likely hit the back button and disappear forever. Turn off the autoplay and give the customer the choice to turn it on if they really want that information. Digital technology has made it possible for customers to get the information they need instantly. If they arrive at your website and have to wait for the pages to load, they will grow impatient very quickly. Don't expect a visitor to wait longer than a few seconds or they will leave your website. If you can find ways to lessen the load and quicken up the speed on the site, you have a better chance of keeping customers on your website. At Roundhouse, we understand that online marketing begins with an effective website. Your website is the cornerstone of your brand and your business online. An effective website - that converts visitors into customers - is a key business investment. Please call us today, if you want to learn more about how the right web solution will deliver you a measurable ROI. 1. The Top 7 branding mistakes. 2. 5 Signs that you need a logo redesign. 3. Top tips for choosing and buying a great domain name. "Behind every small business, there's a story worth knowing." The internet has made it simple for just about anybody to build a website in virtually no time at all. The problem is that these websites are simply taking up real estate and do not provide a very good user experience. The aim of any business website must be to genuinely engage the target audience, provide relevant information and encourage conversion. Here are a few things you must consider before building a new website for your small business. Determining precisely what you want your visitors to do when they enter your website - is a key consideration in the preliminary building stage. If your only goal is to build a mailing list, then the homepage of your website must have an easy to use newsletter sign up box that is clearly visible and conveys that message perfectly. The call to action is how you reach that desired result, so before you begin - it is important to know exactly what you want your visitors to do when they find your website. 2. How Can Your Business Stand Out? One of the key elements in the designing phase is deciding what separates your business from the competition - and then telling the world. This will inform your web design brief. Your message needs to be conveyed in a way that attracts customers to your business in a good way. Be positive - focus on where your business excels and use that as your point of interest. By focusing on the strengths of your business, you proactively build your brand while emphasising key points of difference. Your website visitors should be immediately aware of what makes your company the best in your industry. 3. How Much Money and Time Can You Commit? If your website is going to look professional - and really work to build your business online - it is going to need commitment and dedication to achieve this outcome. Consider your website as a direct extension of your business. It should align closely to your brand and represent your message consistently and clearly throughout. An experienced web designer - who can help to portray your business in a professional manner - is your best option for attracting more customers. Now that you are headed in the right direction, it is important to take into consideration a few of the following elements. Your website content - Ensure that your your content reads well. The goal is to help your visitors to easily learn about your products and services. Content should be organised in a way that makes the website flow and must never appear too cluttered. Keep it simple - Simplicity is always best it comes to the overall web design. Prioritise your audience with a user centric design solution. Calls to Action - Make it easy for people to take the next step. Use calls to action prominently throughout your site to maximise lead generation. Customer Testimonials - Testimonials are a great way to showcase your success and to build trust with prospects. Blog - Keep your customers up to date with the latest information regarding your business and your industry. A regularly updated blog is a great way to keep visitors engaged over the long term with returning regularly to visit your site. The right website solution for your business has the potential to add significantly to your bottom line. Grow your business online with a high converting web design that connects with your unique target audience. IS YOUR WEBSITE ACHIEVING TOP RESULTS FOR YOU? Roundhouse has been delivering world class web design and development services since 2001. Our key goal is to grow your business and boost your profits online. Our in-house team of dedicated web experts work closely with you to create precisely what you need. A high performance website is a key asset for every business. An engaging website that connects with your target audience - can determine whether a potential customer chooses to browse and shop or simply move on to one of your competitor's websites. Understanding what goals you have for your website during the design phase can help you to create a website that attracts more visitors and gets more sales. Here are the top twelve small business web design tips that will transform your website into a top lead generation tool. Building trust with potential visitors starts with an attractive and professional logo. Your logo is the visual foundation of your brand. Keep it simple with the colours and the graphics, making certain that your key business message is incorporated into the design. When a potential customer arrives on your website homepage, within five seconds they know if they are going to stay or hit the back button and look elsewhere. One of the biggest reasons for customers to leave is a lack of user friendliness. Ensure that your website is easy to use and well organized. Do not overload your homepage with too many graphics or you risk losing potential buyers. Include only well designed and relevant visual designs and images, but remember that less is more. Use fonts that you have already incorporated in your brand guidelines and logo to help keep your message consistent. Ensure that additional fonts are clean and easy to read. Remember that legibility is paramount. Some visitors can find certain fonts difficult to see and understand. Make certain that your page has at least 200 or more words of relevant content that is sprinkled in with niche related keywords to maximise search engine optimisation. Keep the font of the text simple and easy to read. Break up the content with bold text, bullet points, numbered lists, and hyperlink anchor text to other pages on your website. Aim to engage your audience with useful information that is well presented. You might be surprised to know that 50% of small business websites do not clearly place their contact information on the homepage. This is extremely important if you want a customer to feel comfortable that they can reach you when they have questions and concerns. People who visit your website for the first time want to get the information they need instantly - or they will go elsewhere. Make it easy for them to find the content they need with a search bar at the top of each page or in the footer. The site map on your website tells both your visitors and the search engine spiders about all the pages of content within the website. Update the site map if you are adding or deleting pages frequently. Custom designed icons - that are styled to co-ordinate with your brand and design guidelines - add visual impact to every webpage. Icons are a great way to promote links and downloads throughout your site. Encourage immediate response with clear calls to action that motivate people to get started now. If you are selling products on your website, use multiple images that give the most detail as possible. People appreciate detailed visual information. This may be the only thing that helps a customer decide on making the purchase or not. To attract the search engine spiders and get new traffic often, you must add fresh and relevant content to you website often. Make a regularly updated blog a key priority in your web marketing strategy. Keep your customers engaged by giving them the opportunity to take part in surveys, leave comments, rate products, and leave reviews on services they have utilised from your website. Maximise your opportunity online with a high converting website - that is customised to meet the needs of the people you know best - your customers. Roundhouse has been providing web development & design services since 2001. Our goal is to deliver work class results, on time and on budget. We work to proactively grow your business and opportunities online. Our talented team of in-house web experts work closely with you to create precisely what you need. Revolve your world around the customer and more customers will revolve around you. Technology is changing at lightning fast speeds. It is important that your website is maintained in line with these changes - particularly in regard to mobile browsing. Growing your online audience, increasing conversion rates and engaging your visitors long term - is an ongoing project for every business. A key challenge is discovering your points of difference and standing apart from your competitors. Optimising your website for conversion ensures that you deliver a premium web experience for every visitor, across every device. Here are five effective strategies for improving your conversion rates on your small business website. When it comes to the homepage of your website, less is definitely more. Over 80% of your website visitors will land on your home page. It is crucial that your home page is easy to read, communicates your business effectively and motivates action. Remove excess images, text, videos, and links from your home page. Aim for a design that is well branded, professional and user friendly. Remember, it stakes the average user less than three seconds to decide if they want to stay on your website or hit the back button and visit your competition. Make it easy to navigate through your site information and include prominent calls to action throughout. If you claim to be the best in your niche, provide evidence. Feature real data prominently on your website that confirms your sales or customer service achievements. Instill buyer confidence with recent testimonials from happy customers. Use photo testimonials and video if possible. This is an important to potential customers and showcases real world people who have already utilised your products or services with a positive experience. Your competition might have a faster website than yours, allowing them to showcase more of their products in a much faster speed. Studies have shown that a fast loading website is key with regards to optimising conversion rates. Take the time to test and adjust your website and hosting to ensure the absolute fastest speeds possible. The only way to really understand what is working and not on your website is by tracking the results. There are many programs and online services that will give you the ability to see what is working and what is causing visitors to leave your website. Maximising conversion rates begins with identifying your target audience, delivering targeted information and measuring results. Fine tuning a website to increase conversion rates is an ongoing process that needs regular review for maximum success. Gaining the people’s trust is key to any conversion process - and equally so online. Offer your customers a no questions asked return policy. Show them that you have confidence in your products and services and back it with a 100% guarantee. Letting the customer know they have the chance to get their money back without having to literally jump through hoops will help to build trust and confidence. ARE YOU OPTIMISING YOUR CONVERSION RATES ONLINE? Roundhouse has been delivering highly converting website solutions since 2001. We work to understand you, your business and your customers. We deliver targeted solutions custom designed to meet your precise needs. Our websites deliver measurable results with a significant ROI. Today, a website is a key tool for every business. Your website will work most effectively - when it is regularly updated to incorporate the latest technology advances and design styles. Now is the time to consider a website redesign if your site has not been upgraded for 2-3 years. Things have changed considerably since your website was built, and mobile and social technology has greatly impacted on how websites are utilised today. With the rapid growth of mobile browsing, offering your visitors a consistent mobile viewing experience - across multiple devices and platforms - is essential. Addressing these changes today can help to keep your website competitive tomorrow and ensure you stay ahead of your competitors. When you are ready to redesign your website, this is an important checklist - essential for your success. Depending on the niche you are in, it is important to provide your visitors with more information that ever before. More people are using their mobile devices and have the ability to get information instantly. If they can not find it on your website, they will certainly look somewhere else. Add relevant content to your website that will keep your visitors onsite long enough to make the decision to purchase. if you owned a tee shirt business for example, rather than have only products on your website it is vital you have sizing charts, and manufacturer specs to people them choose the right shirts. Today, over 80% of Australians own a mobile phone, and 50% of those users have smartphones. More people than ever before are viewing your website from their mobile devices. This means your website needs to convert well across every device and every platform for maximum effectiveness. A responsive website incorporates this technology with seamless cross platform compatibility. A fully responsive web design delivers a quality experience to every website visitor - whether viewing on smartphones, iPad and tablets, or desktop computers. A responsive website is your best chance of staying ahead in this fast moving world. People demand information quickly. Without a fast loading website - your customers will not stay for long. Invest in a quality website with information rich pages that are optimised for fast load times to enhance engagement and build conversion. Opt for a polished and professional web design that represents your brand effectively, builds trust and incorporates consistent calls to action. Inspire you audience to reach out and contact you will easy to use online forms and social integration. These few tips could have a long lasting and positive effect on how effectively your website works for the people who matter most - your customers. IS YOUR WEBSITE DUE FOR AN UPDATE? Roundhouse has been providing web development & design services since 2001. Our comprehensive range of web design services deliver targeted solutions that grow your business and increase your profits. Our talented web experts works closely with you to create precisely what you need. When you need to grow your business online - finding the right web developer is crucial. Keep in mind that your web developer will be presenting your brand to the world; and this is how your customers will know you online. Choosing the right web developer the first time is very important. You must locate a developer who works for your company's best interests, whilst striving to achieve the following key goals : growing your brand, converting visitors and increasing your profits. Here are the top five tips when locating a web developer for your website. The person that is developing your website will be in close contact with you throughout the development process. 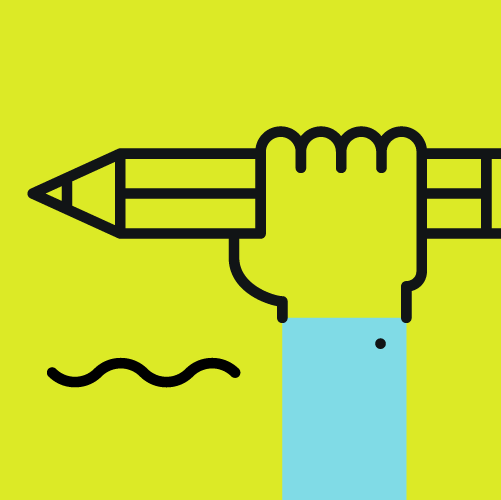 You are going to be bouncing ideas off each other, and spending considerable time creating and refining your project. Working with a person who has similar characteristics to you will make this process smoother. If you find a web developer who works at a different tempo to yourself - you will experience frustration. Look for someone who shares your personality traits and you are off to a great start. A good idea is to trial the web developer with a smaller project like a blog or designing a profile on a social media website. You will get a feel for how fast they work, how they correspond with you, and the overall quality of their work this way. If you are happy with the working relationship and outcomes, move them on to a bigger project or proceed to building your website. The digital technology industry is constantly changing; what was popular last year is out this year. Finding a web developer who is specialised in one specific area might be a problem because those skills might not help to keep your website competitive from year to year. Look for someone to develop your website who is quickly able to adapt and learn new skills as technology evolves. You can find out if they possess this skill by simply asking them what new skills have they acquired, what new programs have they learned, and which emerging technologies are applicable to your project. Take your time when hiring a new web developer. Once you have made a decision regarding who to work with - commit to that relationship for the duration of your project. Changing developers mid project is never recommended. Ensure that clear goals and milestones are established and maintain a close communication throughout your project to ensure milestones are achieved. Ask questions. Explore alternative designs. Work to establish a true partnership - where all stakeholders are unified to achieve the highest outcomes - on time and on budget. A quality web developer is a valuable long term partner in the success of your business online. Once you find a web developer who is dedicated to realising your goals; continue to work with them long term - as your business grows and technology changes over time. When the right team comes together - the sky is truly the limit! Is Your Web Developer Achieving Top Results for You? Roundhouse has been providing web development & design services since 2001. Our comprehensive range of digital services focus upon delivering the highest quality results. Our key goal is to grow your business and profits online. Our talented web experts work closely with you to create precisely what you need. Book an obligation free consultation with a qualified consultant. Learn about our web design portfolio here. Get the latest news from the Roundhouse studio, tips on how to grow your business + exclusive discount offers via email. We can help you succeed online!